Our Saint Valentine’s dinner was a huge success and the weather cooperated -- NO snow! A stuffed boneless breast of chicken dinner was served with cheesecake and strawberries for dessert. Door prizes were given to the lucky winners. Seven year- old Danielle, Lori‘s daughter, told Valentine jokes and a short episode of the “Life of Riley” from 1949 with Jackie Gleason was shown. A St. Patrick’s Day dinner is in the works for March 17th. Corned Beef and Cabbage and all the fixings will be served. The Mulkerin Irish Dancers will provide the entertainment. In Memorian – The members of the Greenfield Hill Grange# 133 would like to remember the Honorable Judge Daniel F. Caruso. 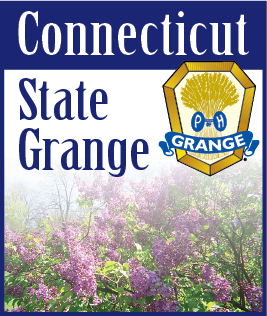 He was a member of our Grange and served as the Judge of Probate for the Town of Fairfield. He was first elected to this position in 1995. He also served a s Connecticut State Representative for the 134th House district from 1989 - 1995. Dan will be remembered for his kindness and his life-long dedication to service.